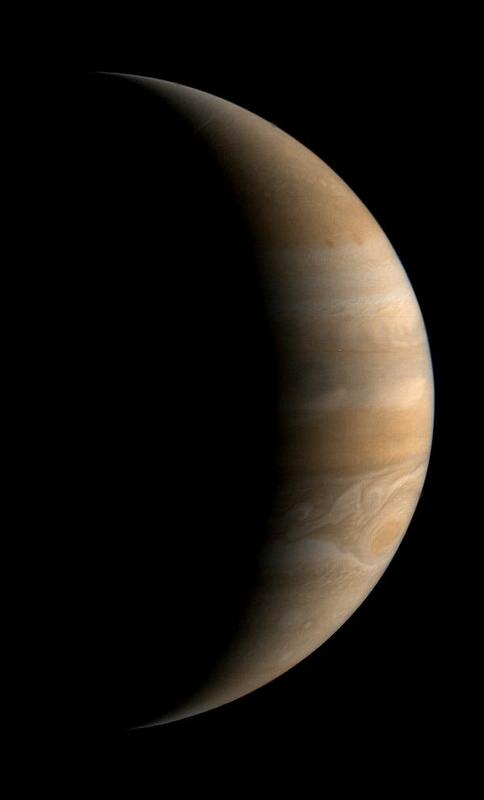 This crescent view of Jupiter was taken by Voyager 1 on March 24, 1979. This image was taken through three color filters and recombined to produce the color image. 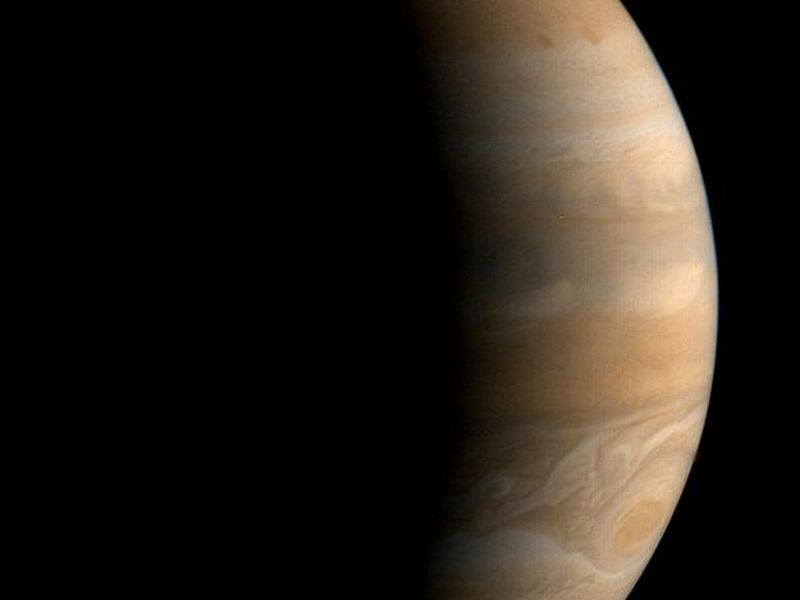 This photo was assembled from three black and white negatives by the Image Processing Lab at Jet Propulsion Laboratory. 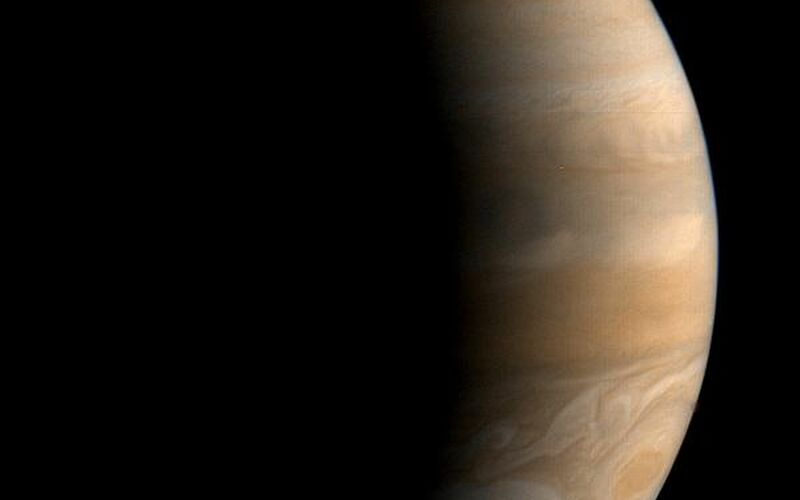 JPL manages and controls the Voyager project for NASA's Office of Space Science.